The Lysiloma is a large weeping, evergreen tree which is native to the Bahamas. With age the rustic, scaly bark becomes grayish / cinnamon colored. The leaves are rounded at the tip and its growth rate is medium. 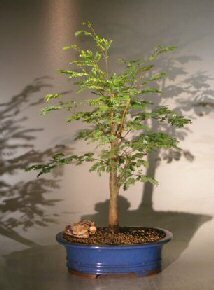 The Lysiloma has everything you want in a bonsai. Small leaves, small Powder-Puff flowers and rustic bark. 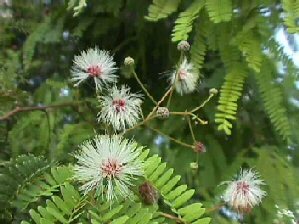 The tree is deciduous, it drops all of its leaves around December and stays dormant until the end of the February but the roots cannot be worked on at this time as it is a tropical tree.